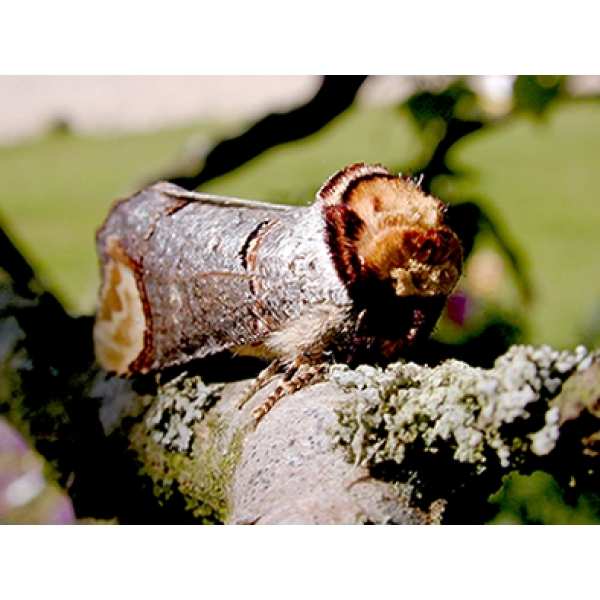 The Buff Tip, once very common, is remarkable and a must for the enthusiast. 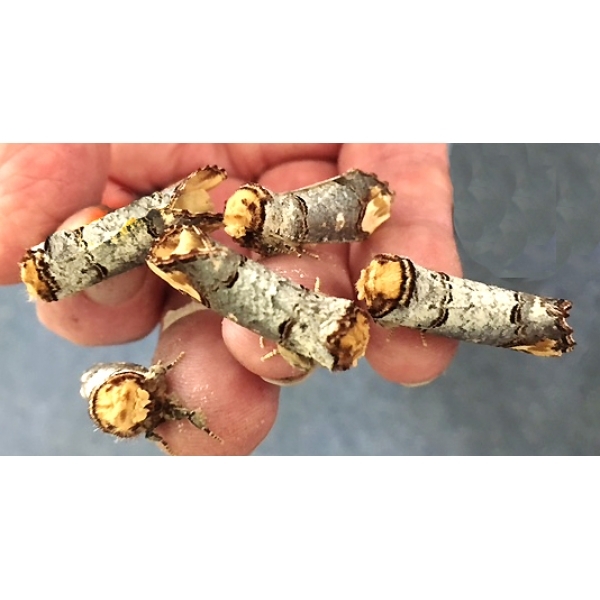 You could help re-establish Buff Tips in your area. 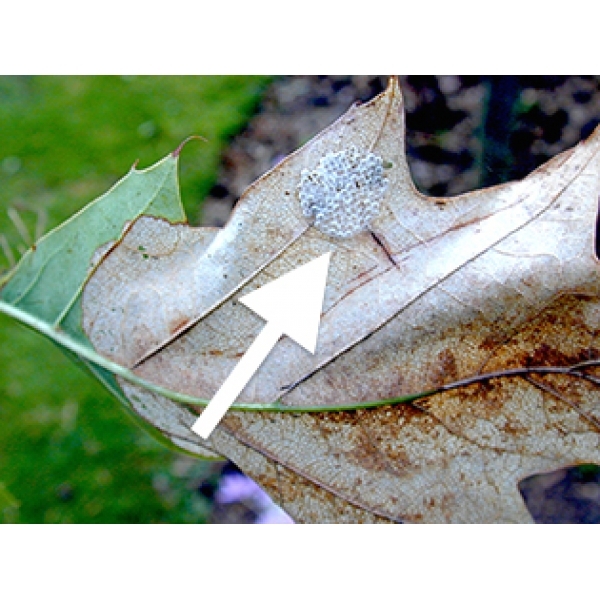 The eggs are laid in a tight cluster on a leaf of the foodplant. 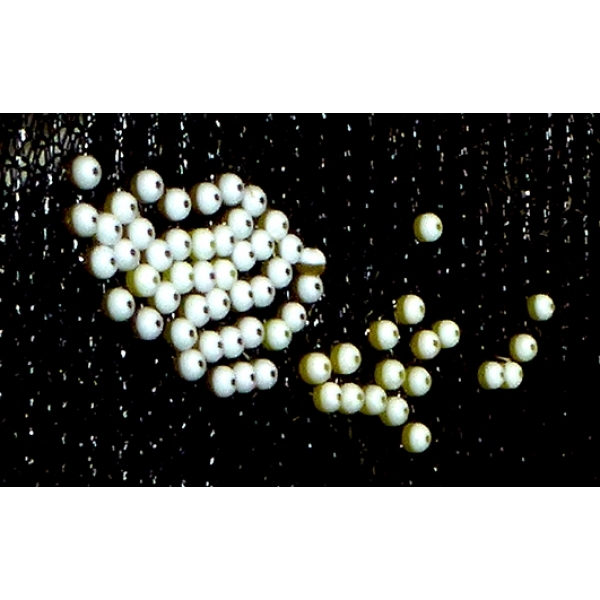 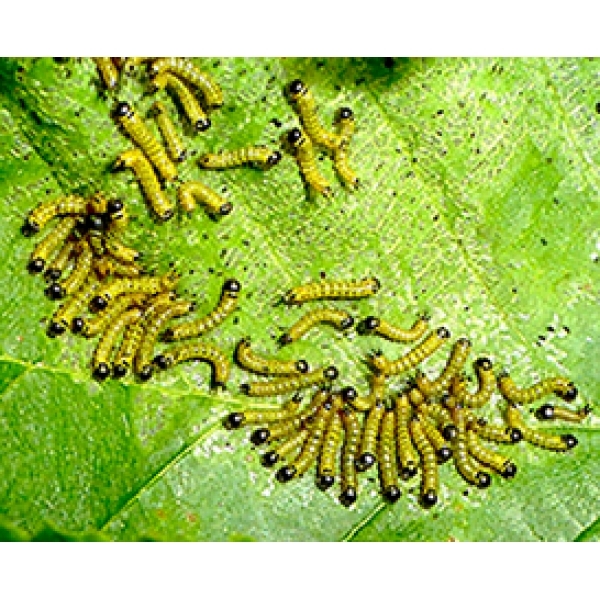 A hatched group of eggs is illustrated and you can see the skeletonised leaf left by the tiny larvae as they progress feeding across the leaf. The larvae are gregarious and quite conspicuous by the trail of eaten leaves, and the fact that they form quite a lumpy cluster! 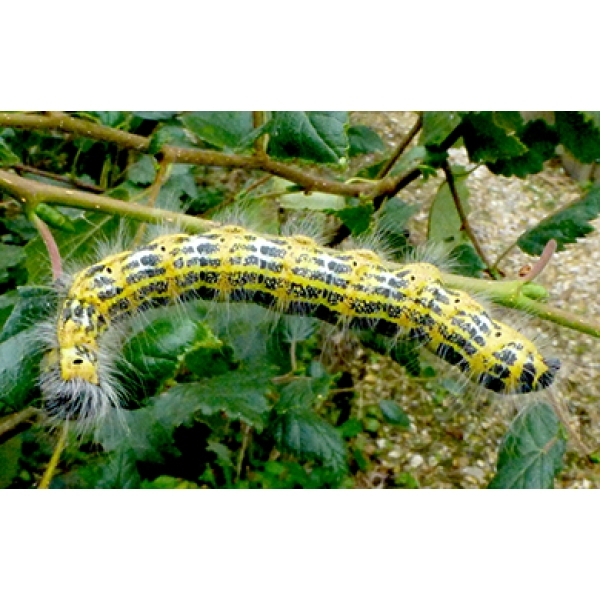 They are coloured with a netted pattern of yellow and black, warning colours that ward off predators, and larger larvae have a covering of long, fine white silky hairs. 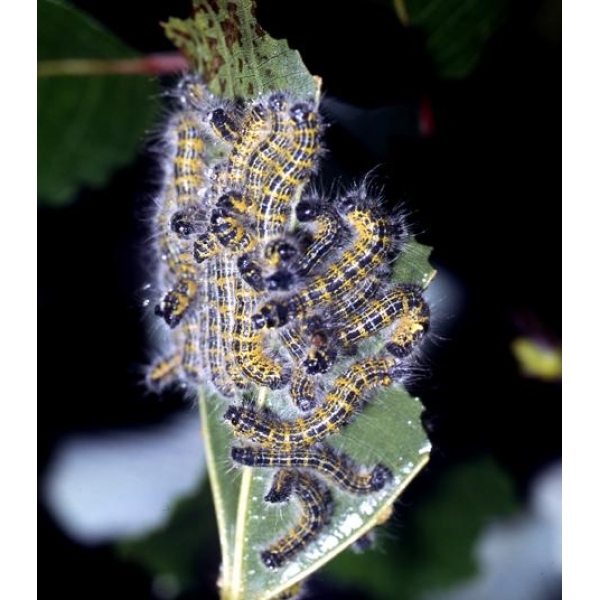 The group does not disperse until pupation when they descend to burrow quite deep into the soil. 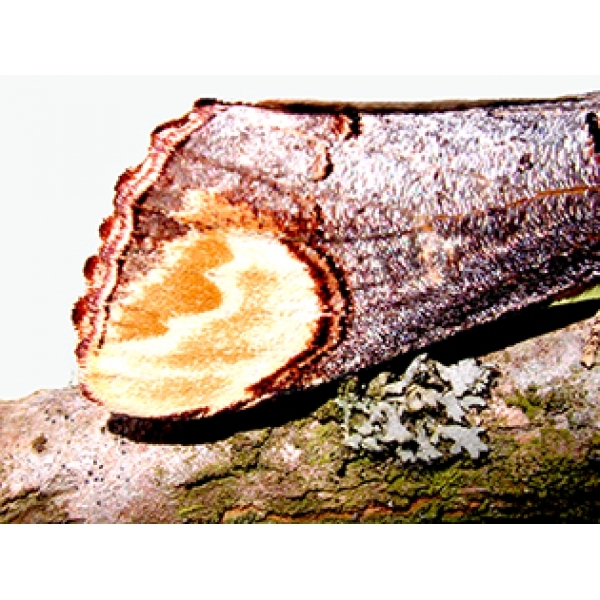 The moth is a master of deception, rolling its wings to form a silvery tube with extraordinary likeness at either end to a broken branch. 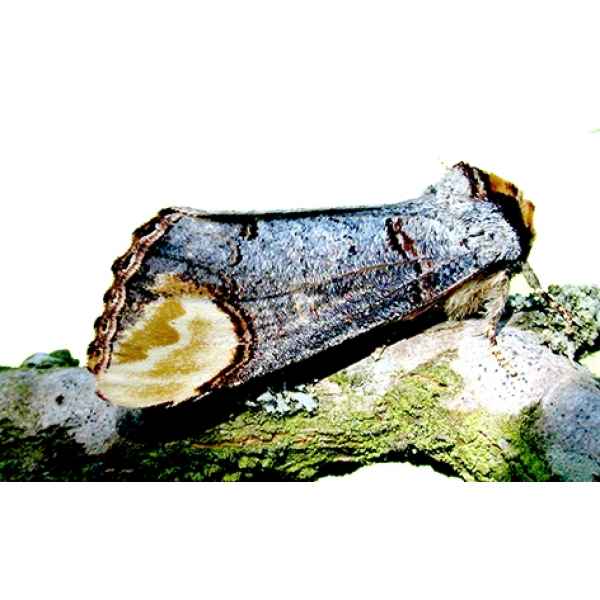 If it flies up on being disturbed, it is hard to spot on landing, unless you know what you are looking for, because it so closely resembles a piece of branch. 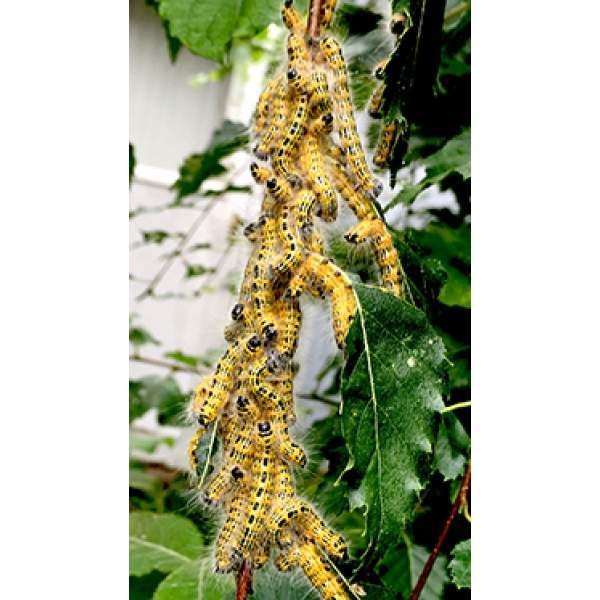 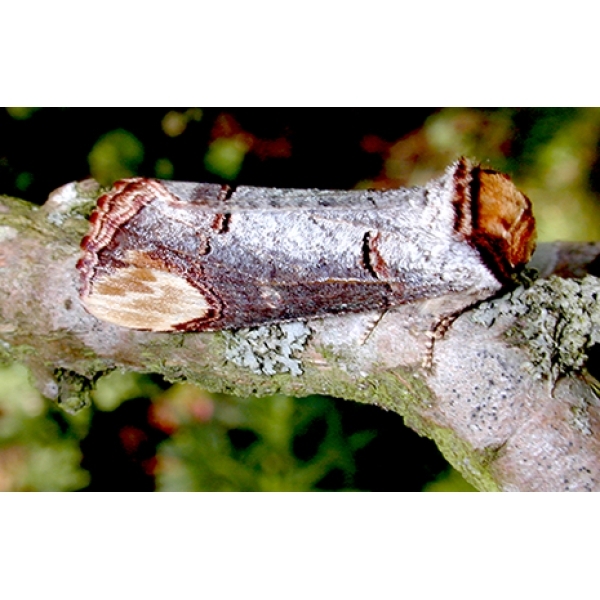 The larvae feed Maple, Birch, Hazel, Laburnham, Poplar, Prunus (Plums and Blackthorn), Oak, False Acacia Robinia, Hazel, Rose, Willows, Sallows, Lime, Elm, Viburnums. 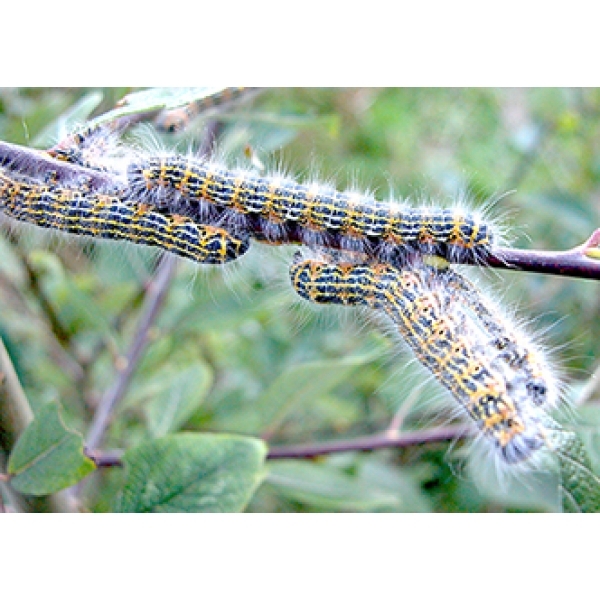 We recommend Buff Tips as a great experience of nature.